These stamps are custom made name stamps from a teacher who plans to use them as a gift to each of her student. Viewing the pictures of each student and drawing their smiley faces were so much joy. Sometimes I wish I could see how they react when they open this gift of love from their beloved teacher. ” You are unique and you are important to me.” The message behind the gift is so so powerful. I got to admit, stamp maniac like me sometimes underestimate the power of stamps. When I receive a stamp order request, I am usually dealing with the person who plans to give the stamp to someone as a gift. As a result, I seldom am able to see the stamp receiver’s reaction when he or she see the stamp. 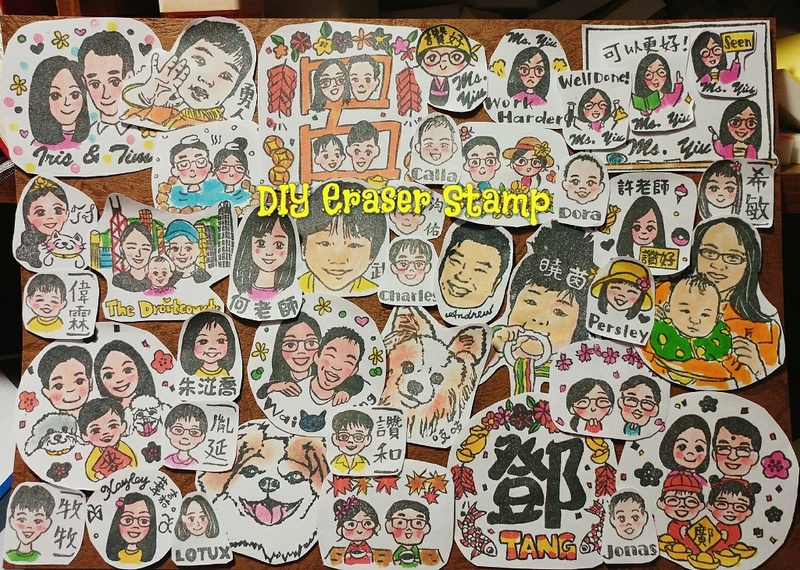 So when I see a happy face in front of me when they see my stamps in handicraft event, I am happy but in fact very surprised by the power of them. 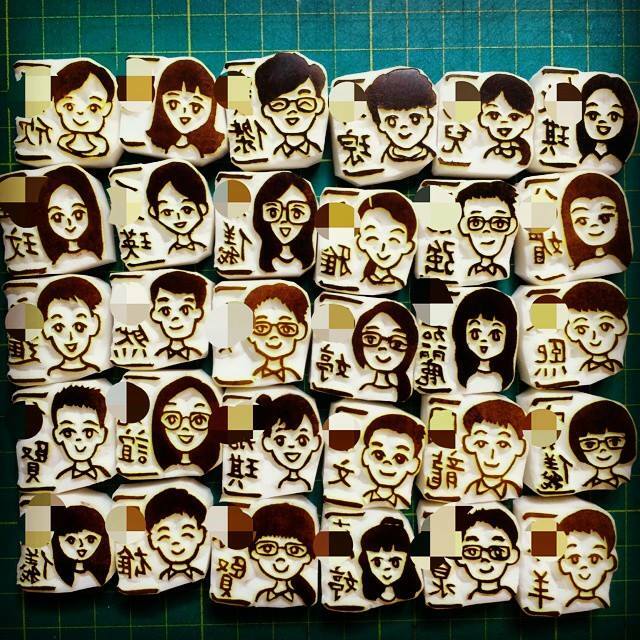 This time I received this project of carving 47 kids with their faces and names on. I have not met any of them, but looking at their pictures already made me happy. 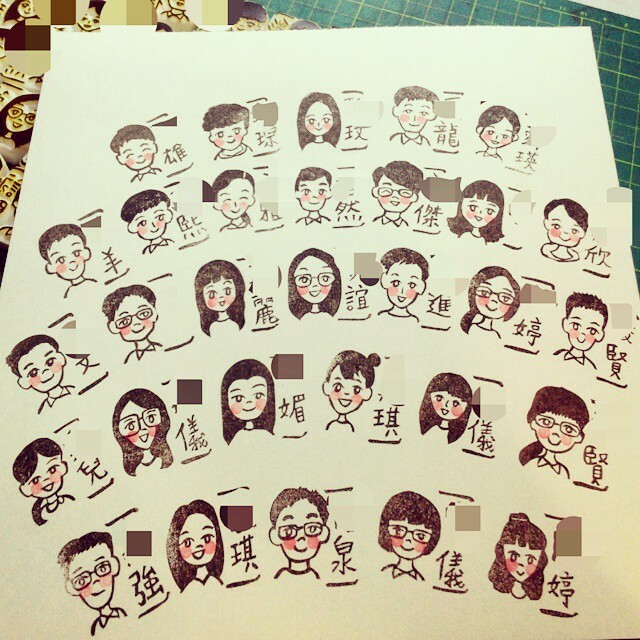 When carving, I imagined how they would react when they see the stamp gift. 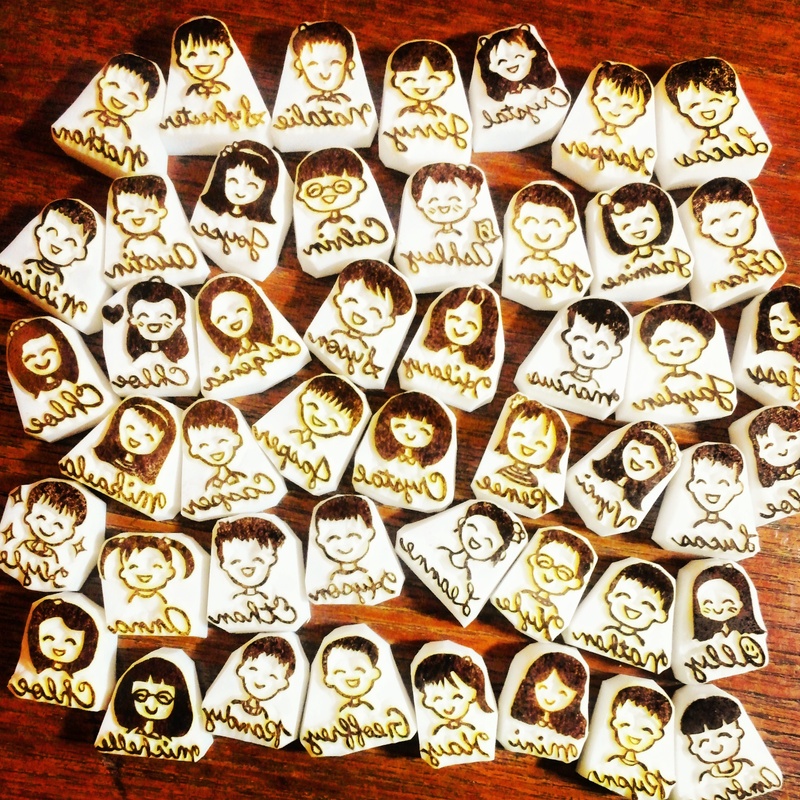 After all, the stamp is very likely to be their ever first name stamp! I wish what I carve is not merely a product, a decoraton or another toy. 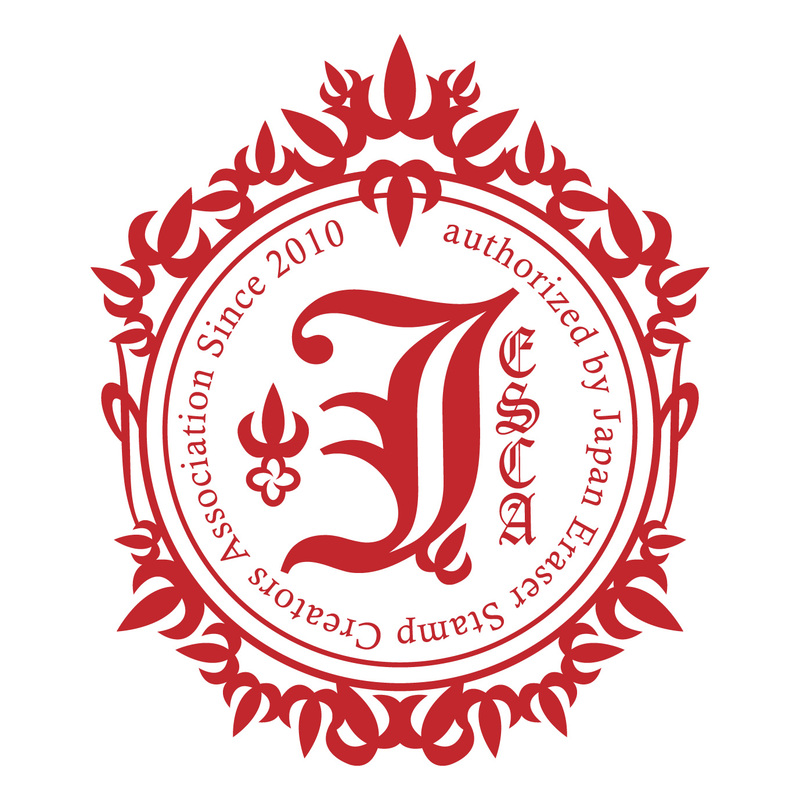 For the most part, I wish to present a gift alternative to my customers, who choose to use stamp to show their love and thoughts to their important ones. And that makes all the difference.